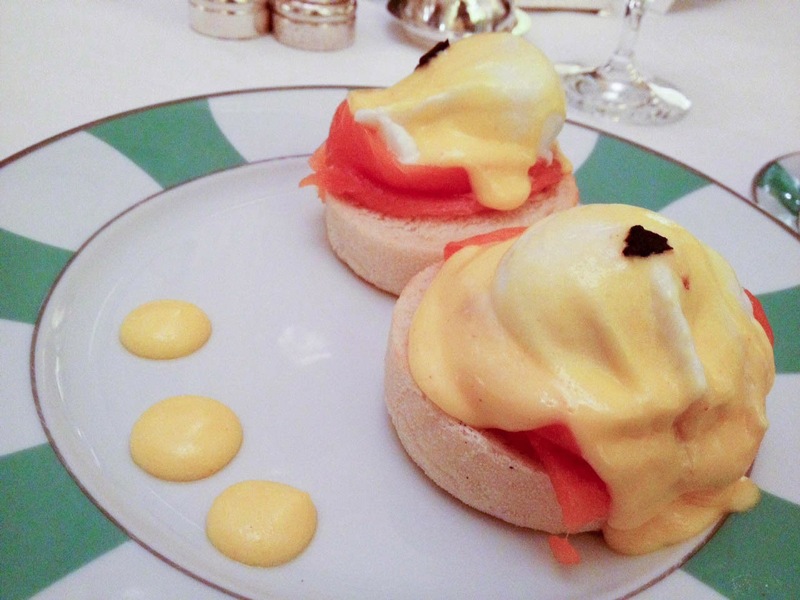 Posh Breakfast at Claridges was a long time coming. We'd originally planned it for a Christmas treat - treat almost certainly being the operative word - but through one mishap or the other, we forgot to book and then it was full. Instead, we visited on a blustery February morning, only slightly conscious that we'd missed the famous Christmas tree. The whole place screams old fashioned posh. Plush carpets, polished silverware, well dressed serving staff and beautifully laid tables, at 8am the room was bustling. We were led to a table beyond the pretty dining room, a darker alcove with one other seating of businessmen eating granola. A shame we weren't able to eat in the main room but I didn't want to cause a fuss. The menu is likely to make you raise your eyebrows. Yes, that really is £6.50 for a cup of coffee. An English breakfast will set you back £17.50, and the eggs Royale I ordered was £18.50. It was a decent eggs royale, though I can't say it was the best I've ever had. If you're really pushing the boat out you could go for scrambled eggs with caviar, at a causal £75. Omelette Arnold Bennett (£19.50!) was a hefty plate of omelette, topped with smoked haddock. 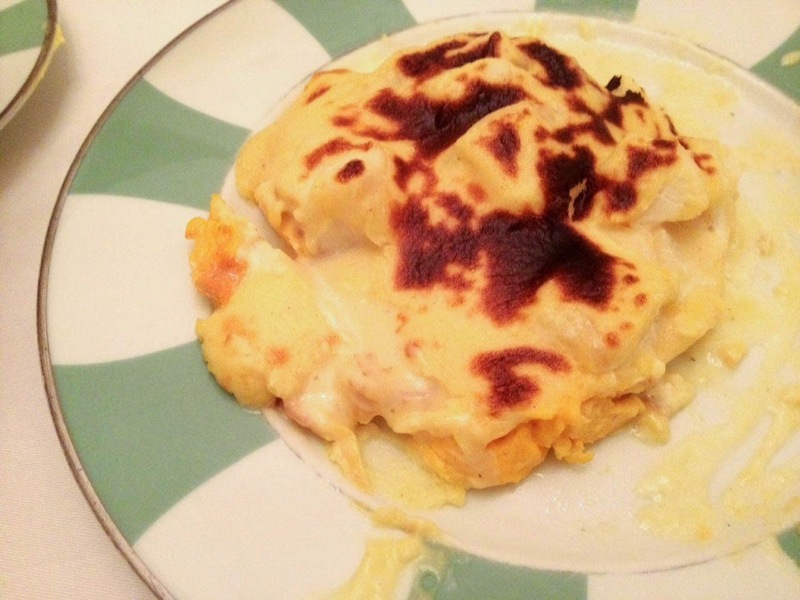 Mornay sauce, which is bechemel with added cheese, covered the lot and was grilled until browned and bubbling. This was the richest dish I could have ever imagined. My friend and I shared the Eggs Royale and this, and still half was leftover. My vegetarian friend asked for the Welsh rarebit, advertised with ham, to be served without. It arrived as menu'd, but the serving staff apologised profusely and a replacement arrived. It was nice that they removed it from the bill too. Speaking of the bill, we would have paid almost £30 each for our breakfasts with a coffee, had the offending item not been removed. Pretty punchy stuff, but you pay for the room and the experience. I am sad I don't have much of a sweet tooth, especially in the morning, as the pastries looked amazing.